Comments: Deciduous broadleaf hybrid cross of Catalpa bignonioides and Chilopsis linearis (both species are North American). 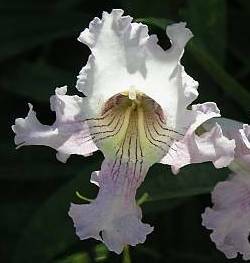 Narrow lanceolate dark green leaves 4 to 7 inches long, Catalpa type flowers, and smooth gray bark which roughens with age. 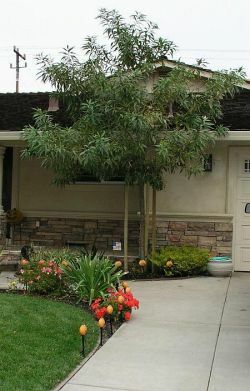 Adult tree to 40'. Hybridization occurred in Uzbekistan in Asia in 1964 before introduction in North America.